Does Green Coffee Bean Really Work For Weight Loss? Is green coffee bean extract the new miracle supplement for weight loss? Well, this is one of the most common questions asked by lots of overweight people around the world. So, we though to get them covered. Read this post to know about what green coffee beans are, how they work for weight loss and what the adverse effects of the supplement are. Green coffee beans are beautiful green-colored seeds found inside the bright red berries of coffee plants. We are mostly familiar with brown roasted coffee beans used for preparing the invigorating drink and can’t get to see much of its green counterparts. These raw beans neither have a flavor nor have an aroma like brown coffee beans, which are mainly imparted through roasting. However, the extract of green coffee beans is found to be extremely beneficial for our health as it helps in regulating glucose levels in our bloodstream after eating, reducing absorption and accumulation of fats, and boosting weight loss. The green coffee bean extract is prepared by soaking, boiling and concentrating the unroasted coffee beans in distilled water for a definite period of time. 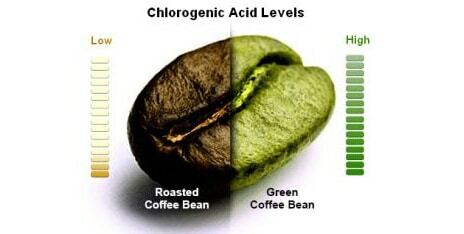 While green coffee bean extract can promote weight loss to a great extent due to its chlorogenic acid content, regular brown coffee cannot have the same effects on our body as roasting reduces the amount of acid in the beans. A number of randomized controlled trials have been conducted by scientists to find evidence about the weight loss benefits of green coffee bean extract. The first one among these divided 30 overweight people in 2 groups. The first group was given plain instant coffee made from regular roasted coffee beans and the second group was given the same instant coffee enriched with green coffee bean extract (around 200 mg. per cup). After 12 consecutive weeks, it was found that the individuals in the first group lost only 3.7 lbs with 0.7% reduction in body fat percentage while those in the second group lost around 11.9 lbs with 3.6% reduction in body fat percentage. Another study, published in 2012 in a journal named ‘Diabetes, Metabolic Syndrome and Obesity: Targets and Therapy’, involved a bunch of obese individuals who were divided into three groups. For the first 2 weeks of experiment, one group was given a green coffee bean extract of high dose (1050 mg a day), another was given a comparatively low dose of the same (750 mg a day), and the last one was given a placebo. Next 2 weeks, no supplement was given to any of the subjects. However during the first 2 weeks, the first group of people experienced significant changes in their body weight, body fat percentage, and body mass index while individuals in the second group experienced mild changes and the people in the last group experienced no change at all. 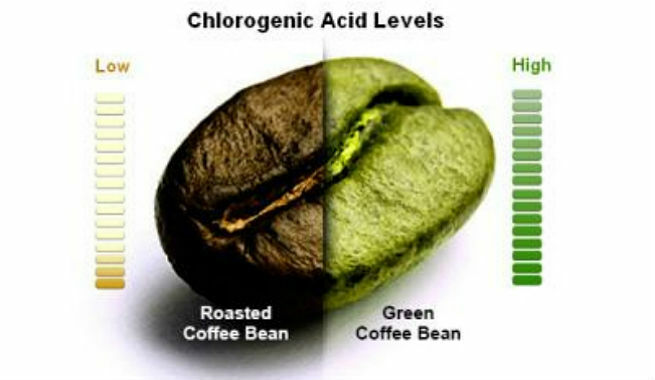 It helped the researchers conclude that it is the green coffee bean extract which promoted weight loss in the subjects. Though the outcomes of these studies are quite promising, these are not sufficient as the experiments were either poorly conducted or industry-sponsored. Even though the green coffee bean extract has a good safety profile, it can cause some negative effects when consumed in large amounts. These include anxiety, restlessness, headaches, ringing in the ears, allergies, frequent urination, urinary tract infection, upset stomach, diarrhea, irregular heartbeat, increased heart rate, trouble sleeping or insomnia, and so forth. Being a caffeine-based product, it can also lead to several symptoms like weakness, dejection, trouble concentrating, muscle tension, flushed face, etc. upon withdrawal. 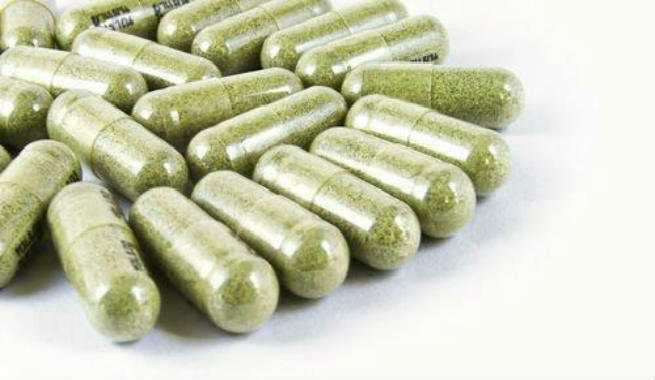 It can also react with certain stimulants, mineral supplements, and prescription drugs. Green coffee bean extract should also not be consumed by pregnant women, breastfeeding mothers and caffeine-sensitive people. The recommended dosage of green coffee bean extract is 240 mg to 3000 mg a day based on the levels of cholorogenic acid present in the supplements. Usually, a person should not consume more than 300 mg of the acid a day. For the best results, take a pill half an hour prior to having your meal.